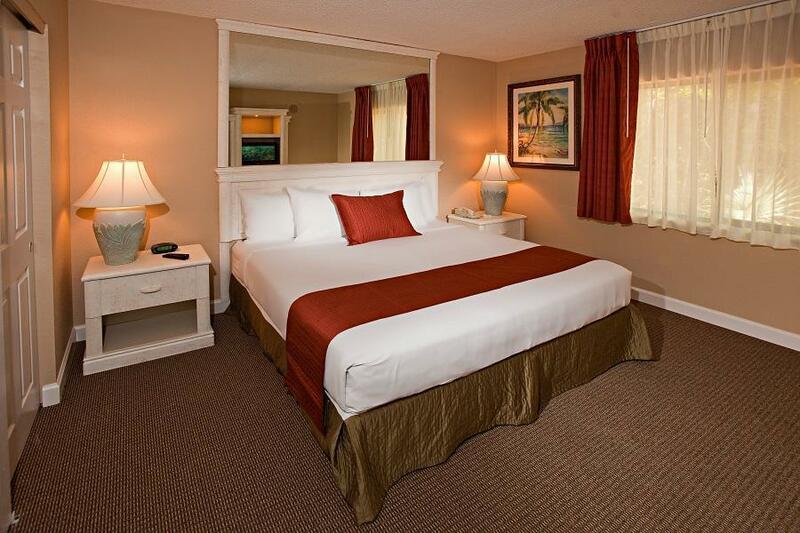 "The two level room with two bedrooms was excellent solution..."
Have a question for Legacy Vacation Resorts- Orlando? "When I got to the Resort I pulled into a beautifully manicured site, with a beautiful facade and nice employees." 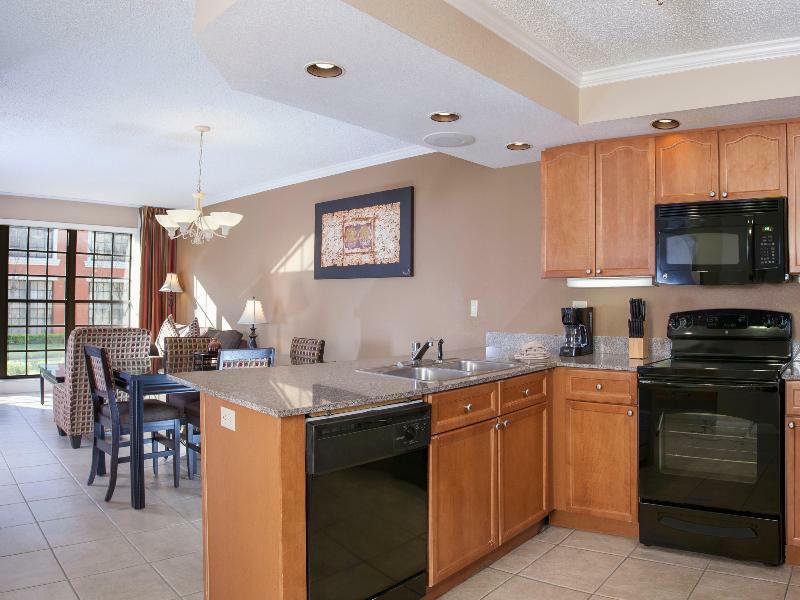 "Nice pool and clean resort"
Located 15 minutes’ drive from the Walt Disney World Resort, this property offers access to a community pool and fitness centre. The Universal Orlando Resort is 20 minutes’ drive away. 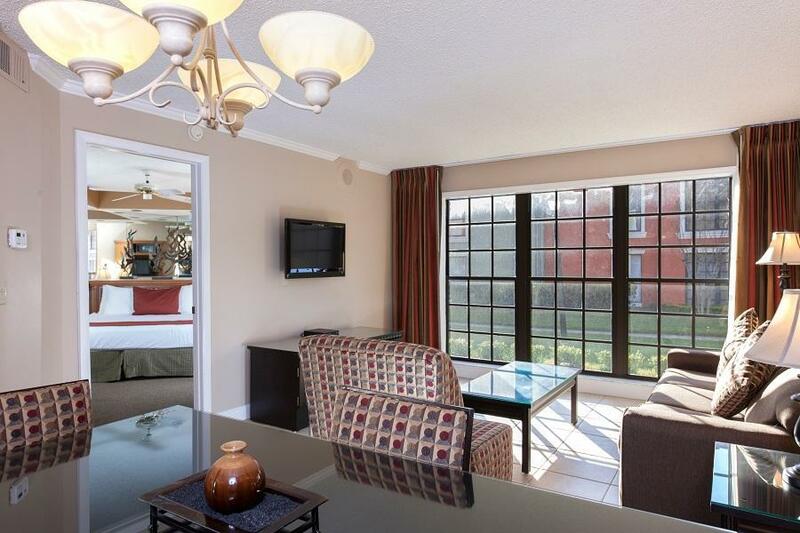 Free Wi-Fi, a flat-screen TV, and coffee-making facilities are found in all standard suites at the Legacy Vacation Resorts Orlando. 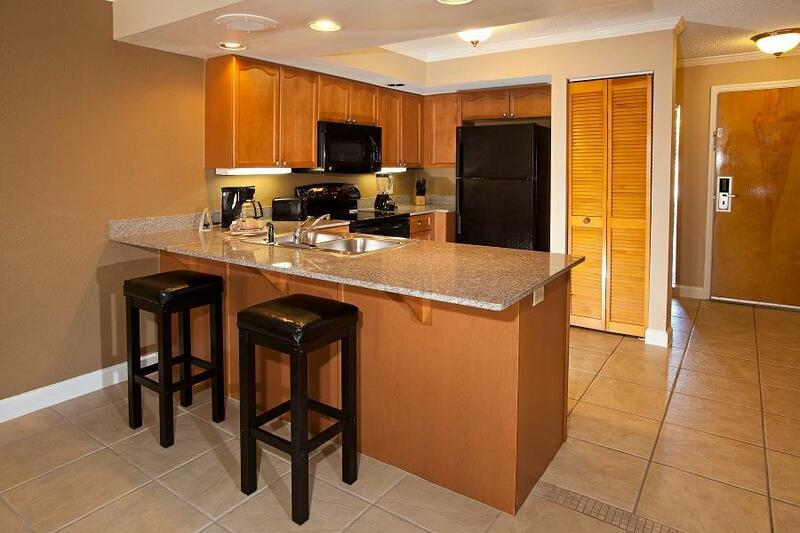 A fully equipped kitchens and separate seating area are included in select suites. With daily pool activities, bingo, 3 outdoor pools and a game room, there is something for everyone at the Orlando Legacy Vacation Resorts. The property also offers a basketball court as well as an on-site restaurant, coffee shop and bar. 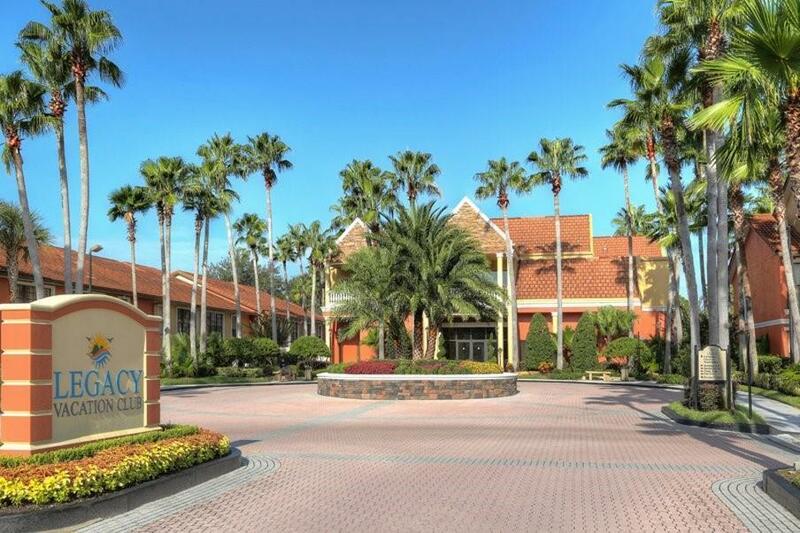 The Orlando Premium Outlets on International Drive are less than 15 miles from the property. 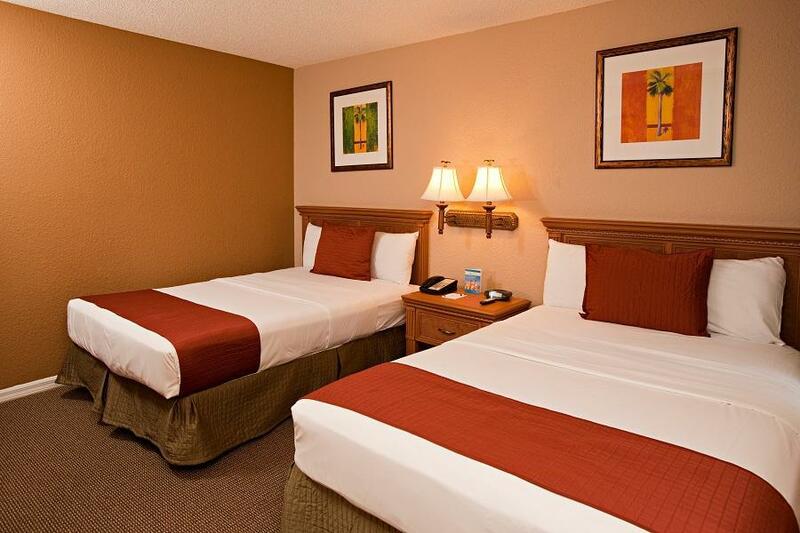 Orlando International Airport is 30 minutes’ drive away. "Very clean with plenty of accommodations." Booked this room a month in advance. Got there and they couldn’t find our room. On top of it they claim “quiet hours” begin at 10:00 p.m. but I got a call from guest relations after 10:00 and then another random phone call at 2:07 am. Meanwhile, they take no responsibility. I have a one year old that was woken up because of this. Imagine the struggle putting him back to sleep!! I did my reservation true agoda.com and my reservation was a two rooms with a full kitchen and when I got there the person at desk was very unhelpful and she told me that my reservation was only for one room without kitchen and because I did the reservation online with agoda I have to call and talk to them about my issue ( how can I call at 1 am?? ) so at the end I have to paid 30 more per night to get a different room . In the master bedroom the border of the mirror fell off and onto the bed it almost hit one of my children. The top border of the mirror was falling off so we couldn’t even sleep in the second bedroom. It was a hazard and I doubt I will book at this location ever again. God forbid one of my children would have gotten hurt. I only stayed one night. I checked in around 10 pm and had to check out the next morning at 10 am but my stay was incredible. I was in a 2 bedroom deluxe and wanted to stay another night. The deluxe was HUGE! Staff was nice. I’m not sure how the facilities were but I can only imagine they were just as great. I plan on staying here every time I need a hotel in the Orlando area. Lots of things to do with small children. Pros: Decent Location, Updated Lobby, Good WiFi Cons: Stained Sheets, Broken Furniture, Drippy Sink, Moldy Tiles in Shower, Heavy Stains on Carpet, Outdated, Tiny Televisions, Soundproofing, Housekeeping, Poor Lighting, Small Room and Lots of Furniture, Needs More Towels in Room, No Cleaning Supplies but Also No Housekeeping, Needs Do Not Disturb Signs This is not a serviced condo, you do not recieve Housekeeping unless you stay over a week. We only stayed 3 day. The morning of day 2 we decided to sleep in. However, where awaken by Housekeeping banging on the door, then entering our room, and entering every bed room as people where sleeping. Called the front desk and complained. They stated they would notify Housekeeping immediately and would not be bothered again. A few hours later we go to leave the condo and another housekeeper approached us telling us we where late leaving the room for check out. Also you can hear EVERY sound your side and upper neighbors make! Very clean with plenty of accommodations. Staff was phenomenal. I had a problem with my reservation though agoda. I booked this resort two night before, during my orlando traveling and did not have access to my email. I was unaware that agoda sent me an email asking me to verify my identity before the reservation was confirmed. I had no idea by looking at the Agoday app that this happened. Assuming my reservation was confirmed I showed up at the resort. When they could not find my reservation they were not accommodating at all. They just shrugged their shoulders including the manager. I spent two hours in their lobby, 50 minutes waiting on the phone with agoda, another hour trying to follow the security procedure in the email link which was impossible without a desktop and access to internet on my phone while I held on with the rep. The only positive was that each time I would need to end my call so that I could access my email from my phone and follow the security steps in the link, the rep called me back every 10 min. Nightmare afternoon !! When I booked this room online I was amazed by how beautiful it was for the price. The amenities looked great. However When I got to the Resort I pulled into a beautifully manicured site, with a beautiful facade and nice employees. I go to the front desk to check in. It is beautiful as well concierge available and many people to help check in. Through double doors you see a nice pool and patio area. After checking in I found out that I would not be staying on site but I would be staying at an adjacent property called The Oaks. I could still use the resort amenities just I wouldn't be staying on the resort property. It was okay at first. Until I drove across the street to my room. It was in a dirty almost apartment looking area. The room was dated and had a broken shower, it didn't really work and we didn't have hot water. I told the front desk however nothing was resolved. It is still beautiful. I recommend if you plan on staying here be prepared to not get the pics on the profile. Really friendly and helpful staff. Rooms were great and location perfect for our needs. We only booked one night to stay close to airport because we didn’t know how our 20 month old would be after the flight and then carry on down to Clearwater the next day. Rooms were clean and well presented. Swimming pool and splash park was enjoyable. Staff friendly. We didn’t choose to take part in the 90 min presentation for free breakfast and went to the ihop which is within walking distance. Great start to our holiday. Very well maintained complex with comfortable, clean suits! The musty smell travelled on with us in our clothes to the next location, where we had to hang them to get the smell out.